Easy access and a great introduction to Sulawesi’s birds. Tangkoko is a really straightforward place to go birding. The closest accommodation options are on the main road as it enters Batu Putih village, and directly opposite them is the entrance track to Tangkoko. The track crosses a stream and then passes through some scrubby forest for 500 m before arriving at the official entrance gate to the park. From here the track continues parallel to the sea for around 2km until it reaches two small buildings (names Post 2 and Post 3). From here the track continues along the coast, but becomes more indistinct, and many trails head inland. The birding is good all along the entrance track (from the main road to Post 3). Patches or forest along the road hold Rusty-backed Thrush and Green-backed Kingfisher, Finch-billed Myna and the endemic Yellow-billed Malkoha. By night the open grassy areas hold Sulawesi Nightjar, and Sulawesi Scops-Owl is present along the length of the track. Around the area of Post 2 and Post 3 it is worth exploring into the forest. Here is among the best area for seeing Rusty-backed Thrush, and as you move away from the main coast track and uphill your chances of seeing Lilac Kingfisher, Sulawesi (Dwarf) Kingfisher, Sulawesi Hornbill, Knobbed Hornbill, Red-bellied Pitta and Tabon Scrubfowl increase. It is also in this area that Maleo are occuasionally seen, and on at least one occasions Bare-faced Rail has been recorded. As you move inland and uphill, towards the roosting trees of the Spectral Tarsiers (which are definitely worth a look!) the forest becomes good for Golden-mantled Racquet-tail, Spot-tailed Goshawk, and more of the birds mentioned above. By night, a walk around the forest above Post 2 and Post 3 should get you more Sulawesi Scops-Owl and a chance of both Ochre-bellied and Speckled Hawk-Owl. This is also the area that rare and very elusive Minahassa Owl is most commonly seen. If you are lucky the local guides will know of a daytime roost tree, but these change frequently and so your only chance might be a night time chase around listening for the infrequent calls! For those with a few days at Tangkoko, a day trip (or overnight camping trip) higher on the mountain is interesting. The climb takes around 6-7 hours depending on how fit you are (and how many birds you stop to look at on the way!). 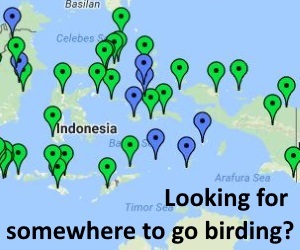 Many of the same birds found lower are also present, plus you get a better chance of seeing Sulawesi Myna, the hanging parrots, and on the highest stretches, Scaly Kingfisher. The latter prefers areas dominated by wild ginger, and is usually found perched only 1-2 metres above the ground. They don’t move much, but can be very responsive to calls. Other side trips that are easy to arrange at Tangkoko include a trip east along the coast to visit a still active Maleo nesting ground. It is probably easier to see Maleo at Tambun, in Bogani National Park, but if you have time here, or you are not planning to visit Bogani, then this at least gives you a chance. A visit to the Maleo site is usually made by boat. Getting a boat west along the coast is also interesting. For many years now there has been a regular daytime roosting site of Sulawesi Masked-Owl not far from Batu Putih village in a cave on the sea cliffs. It can only be viewed from a boat, but the views are great if you make the trip. Continuing further west by boat brings you to an area of mangrove that holds the endemic Great-billed Kingfisher. This is a smart looking bird and seeing it makes the trip worthwhile. If you don’t see it here, another good spot for this species is the jetty of the Santika Hotel nearer Manado (directly opposite Bunaken Island, on the main land). Getting to Tangkoko is easy. It is about 1.5 hrs drive from the airport, or about 2 hrs from the centre of Manado. By car or taxi take the main road from Manado to Bitung (the port and freight terminal on the eastern tip of North Sulawesi), and just before reaching Bitung turn left at the town of Girian. From there a smaller road snakes its way 20 km north towards the village of Batu Putih. By public transport the route is the same. Catch a bus from Manado to Bitung, and get off at Girian. From there occasional mini-busses run to Batu Putih, but if there is not one there when you arrive and you don’t want to wait, just take an ojek (motorbike taxi). The most commonly used accommodation options are those that you first meet on the left hand side of the road when you reach Batu Putih (this includes ‘Mama Roo’s’ and ‘Ranger Guest House’). There is another more expensive option, reached by heading into Batu Putih village and turning left along the beach, but it is a bit further from the birding action. To enter the forest proper at Tangkoko you are usually expected to take a guide (that is to say, they may not let you into the park without one), although if you stick only to the coast track as far as Post 2 you may be allowed in alone. Your accommodation can help you find a guide and negotiate your entrance to the park, or failing that the park staff can assign you a guide at the entrance/ticket gate. Many of the guides at Tangkoko are excellent birders, and many have ‘secret spots’ where they can show you some of the most sought after species. Guides obtained from the main accommodation options will be up-front about the fees you need to pay (which are not high, but seem to vary from year to year!). They themselves will have to pay the park, so as to avoid the need to be assigned another guide by the park itself, and this will be included in the price. Getting guides assigned by the park at the entrance gate is a bit more random, some are good and some are not, and the fees they charge can vary mysteriously, so better to sort this out from your accommodation! Most of the guides speak some English, and they can help you arrange trips to the mountain, night birding, or any of the side excursions mentioned above. Just chat through your plans with them and tell them what you want to see (or point at it in a bird book!). I’m planning to visit Tangkoko from Sunday 14th/May through Wednesday 17th/May, and stay at a hotel or guesthouse at the entrance of Batu Putih village. I’m looking for an English spoken bird guide. Can you recommend any? 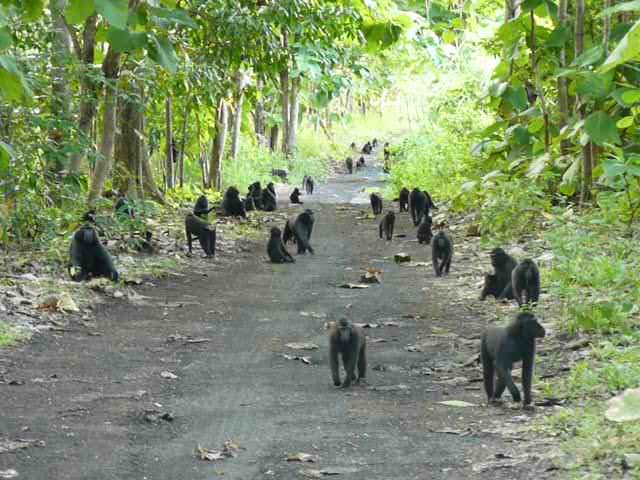 we are Tangkoko Guesthouse is the closest accommodation near Tangkoko Nature Reserve. 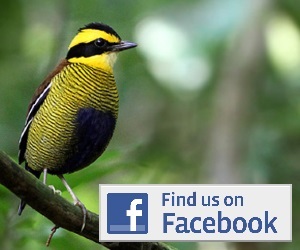 We can Arrange your trip for birding to Tangkoko Nature Reserve.